Morrison Brothers 939 Fusible Valve Quality Alert Bulletin! Morrison Brothers has sent a notice to all distributors who have purchased the 1/2″ 939 Fusible Valve (Morrison Part #: 939—0200 1V). The reason for this notice is a recent Quality Alert Bulletin received from R.W. Beckett Corporation, who supplies Morrison with the 939 Valve, specifically regarding the 1/2″ model. No other sizes or models have been affected. 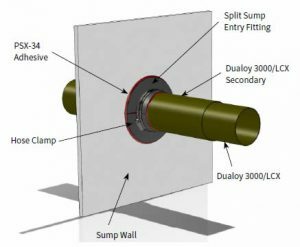 The purpose for the bulletin is a deficiency in the 1/2″ model; when exposed to temperatures exceeding the handle’s temperature rating, the valve may fail to properly shut off the flow of fuel, potentially resulting in a ruptured fuel line. Beckett is currently working on a redesigned valve that will eliminate this potential risk, which is anticipated to be available by January 1, 2017. 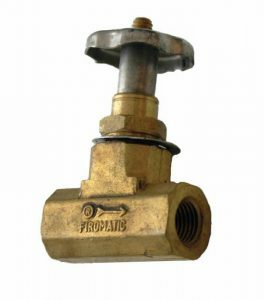 The recommended remedy for customers who purchased and are currently using these valves is an immediate field retrofit or replacement. In the case of the former, Beckett will provide retrofit kits upon request and will pay a $50.00 labor allowance for each valve retrofitted. In the case of the latter, Beckett will provide credit for the valve as well as a $125.00 labor allowance for each valve replaced. For more information, refer to the official Quality Alert Bulletin. The John W. Kennedy Corporation appreciates your business and continued support! 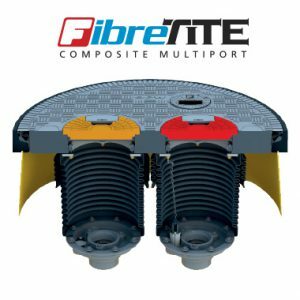 NOV Fiber Glass Systems has announced their product line will feature a new Split Sump Entry Fitting (SSEF). These fittings, designed to be used with 3/4″ and 1″ conduit as well as 2″-4″ Red Thread IIA and Dualoy fiberglass pipe. Comprised of two halves bonded together with PSX-34 adhesive, the SSEF is made from the same compression molded fiberglass as other UL971-listed fittings. The design of this fitting is made for easy installation and retrofitting. For more information, check out the official Installation Guide and the Marketing & Brand Bulletin. 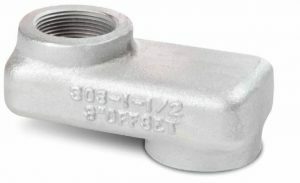 Universal Valve Co. has announced that the Model 303 “Shorty” line of offset adapters will now include 4″ and 5″ variants. The offset adapters are designed to prevent any strain on piping and dispenser boxes, as well as allowing for fast and easy dispenser upgrades. If you’re out at PEI in Atlanta on October 19-21, be sure to check out Universal at Booth 4623. OPW has announced their new FibreTite Multiport Spill Containment System, which is now CARB EVR approved. These containers are designed with a lightweight composite cover for long-term water tight performance and meet all CARB and EVR requirements, as well as being certified for use on all existing standard gasoline Phase 1 Vapor Recovery Certification Phase 1 EVR Executive Orders. Among the features included are an integrated inspection port system, a removable flange in the container base, and a composite lift cover and optional levered plumber seal covers for easy access. For additional information, check out the distributor bulletin and the official part brochure. Effective December 1, Gasboy will be ending production on the Atlas Retail Mechanical (8700K Series) and Electronic (8800K Series) line of pumps and dispensers, as well as card and key encoding equipment and accessories. This is part of an ongoing modernization effort to provide up-to-date access control devices for the PLUS Fleet Management System. Because of those efforts, the need for older key and card encoding equipment has been eliminated. Gasboy will continue to accept orders for these products up until the effective date, and will also provide spares support for end of life products. The company will continue to produce the Atlas Commercial Electronic (9800K Series) and Mechanical (9100K Series) line of pumps and dispensers. For more information, you can read the official announcement here. Our good friends at Envision Technology Advisors shared the following security notice on the ODIN ransomware virus. Recently, a new variant of ransomware named ODIN has infected a number of companies. This security notice will explain what this virus is, how to avoid it, and what to do if your business becomes infected. If you receive an email from an address you do not recognize, be cautious when openng it and do NOT open unknown or unexpected email attachments and/or click on any unknown links. Even if you recognize an email address, use discretion when opening all emails, attachments, or clicking links to the Web. When in doubt, contact your IT support. If your computer becomes infected with this virus, shut your system down immediately and contact IT support. Also contact IT support if you are unsure whether or not an attachment you have received is safe. At this time, our Orlando, FL branch will be closed October 7 due to the approaching Hurricane Matthew. The situation is being monitored, and due to the severity of the situation, the branch may be closing early in the afternoon on October 6. If you need immediate assistance while the branch is closed, please feel free to contact us at 1-800-451-4021.